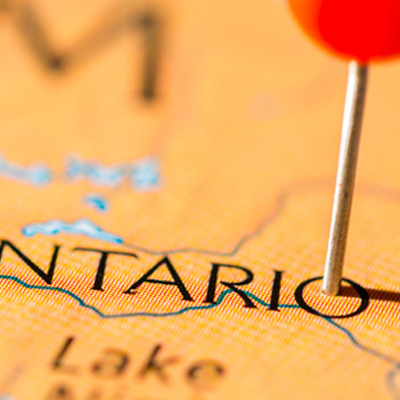 The Ontario Immigrant Nominee Program (OINP) is set to begin accepting applications in three of its most popular immigration streams next week. These streams are the Express Entry Human Capital Priorities Stream, the International PhD Graduate Stream, and the International Masters Graduate Stream. These streams were temporarily paused in May last year after their annual allocations were fully filled. Furthermore, a new and modern online application process is due to be introduced along with the reopening of these OINP streams. The Ontario government believes this will help speed up the application process, improve customer service, and help employers find the required skilled workers much quicker. The government also says that in the future the International PhD Graduate, International Masters Graduate, and the Human Capital Priorities Streams will continue to pause and reopen. This strategy aims to improve efficiency in the processing of applications. The overall OINP allocation for 2017 is 6,000 this is 500 more than last year and includes applications across all OINP streams, as recently as 2014 the allocation was set at just 2,500. For candidates in the federal Express Entry pool, the announcement that the OINP Human Capital Priorities Stream is set to reopen is likely to be well received. Once this stream is reopened the OINP will begin to searching the Express Entry pool for qualified candidates and issue what is known as Notifications of Interest, effectively this is an invitation to apply to the program. As one of the requirements, a candidate must have already entered the Express Entry pool and have 400 or more Comprehensive Ranking System (CRS) points. Once the candidate successfully receives an OINP invitation through the stream they will be awarded 600 additional CRS points and will subsequently receive an Invitation to Apply for Canadian permanent residence. The International Graduate Stream targets individuals who have graduated from a PhD program at one of Ontario’s public funded universities. It is important to note that this stream is not aligned to the Express Entry system and no job offer is required. The International Masters Graduate Stream is also not aligned to the Express Entry system and it targets individuals who have graduated with a Master’s degree from one of Ontario’s public funded universities. A job offer is also not a requirement. Once this stream reopens eligible candidates will now be able to apply if they are residing outside Ontario. Applicants will also have the option of using an alternate service provider to obtain their language test, although what this entails is not exactly clear at this point in time and further details will be communicated on Tuesday, 21 February.